From A History of Future Cities, by Daniel Brook, to be published next month by W. W. Norton. 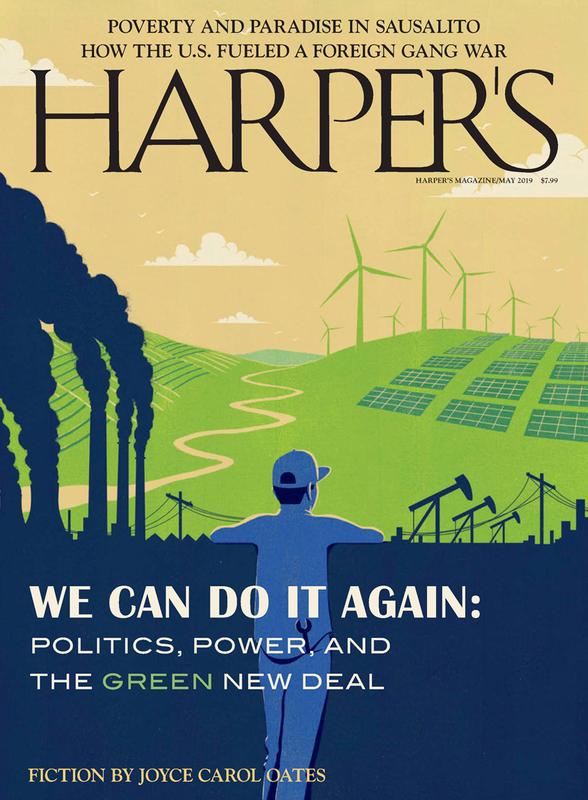 Brook’s article “New Hampshire Goddam” appeared in the November 2012 issue of Harper’s Magazine. On the bottom floor of the Hermitage Museum in St. Petersburg, far from the crowds craning their necks to glimpse a Raphael or a Rembrandt, are a series of rooms designed in the mid-nineteenth century by a German architect. A marriage of tsarist opulence and neoclassical order, each room places the visitor in a different symmetrical space defined by columns, arches, and pilasters of richly polished marble, one room a somber gray, the next an arresting red, another a flighty pink. In each of these pseudo-Greek rooms stand pseudo-Greek statues: Roman copies of Greek originals. apollo, marble, roman work. 1st c. a.d. after the greek original of the 4th c. b.c. eros, marble, roman work. 2nd c. a.d. after the greek original of the first half of the 4th c. b.c. athena, marble, roman work. 2nd c. a.d. after the greek original of the late 5th c. b.c. In these neoclassical rooms of the Hermitage, as in the larger neoclassical city that surrounds it, the Russians lay claim to the glories of Western civilization through impersonation, desperately trying to write themselves into the history of the West. Yet in these statues, we see the Romans, seemingly the epitome of Western civilization, doing exactly the same thing. By copying the glories of ancient Greece, they, too, are willing themselves heirs to its culture. That the Romans copied the Greeks hardly means their civilization was a fraud. The Romans went on to make their own contributions, far surpassing the Greeks in such fields as engineering and logistics. That the Romans copied does not mean history is nothing but copying. It does mean, however, that copying is an integral part of history. Though Westernness feels like an immutable inheritance, whether a people sees itself as heir is actually a conscious decision that only later becomes an unconscious patrimony. Many of the Egyptians and Syrians of today are the descendants of Roman citizens, and yet they see themselves as non-Western. Many even consider themselves to be in a struggle against the West. Meanwhile the Germans, descended from the barbarians who sacked Rome, consider themselves heirs to Western civilization. A city such as Berlin, with its neoclassical museum buildings, is no different than St. Petersburg in its ex post facto writing of its people into the Western tradition. Berlin feels less Disneyfied than St. Petersburg only because the ruse has worked. While just 12 percent of Russians tell pollsters that they always “feel European,” no pollster would even think to ask the Germans whether they felt that way. It’s just accepted that Germans are Europeans. The distinction between Europe and Asia began with the Greeks, who contrasted their civilized European selves with the Asian barbarians across the Aegean Sea. Medieval scholars assumed there must be some narrow isthmus separating Europe from Asia. After no such natural feature was found, geographers in the early modern period seized on the Ural Mountains as the dividing line. But the Urals are not much of a barrier. About the height of the Appalachians, they were easily crossable long before the advent of trains, automobiles, and airplanes. Ukrainian Cossacks invaded Siberia in the late sixteenth century by carrying their riverboats in a brief portage over the Urals. Though the physical barrier is negligible, the mental barrier has been consequential. Looking backward, we cannot understand world history without the East-West distinction, whatever we may think of it today. That would be like an atheist studying the history of medieval Europe and ignoring Christianity because she is not a believer. But going forward, we must see beyond the notions of East and West that have long divided us. The divisions themselves are arbitrary, and they were created for a world dominated by Europe — a world that is no longer with us. When Peter the Great ordered his future capital into existence in 1703, he modeled it on Amsterdam, the city that had most impressed him on his secret journey to the West a few years earlier. The diverse, canal-laced Dutch metropolis, with its narrow redbrick town houses built atop wooden piles in the swampy ground, was the richest city in the world, the center of global trade. Peter even gave his city a Dutch name — Sankt Pieter Burkh — to signal its repudiation of Eastern backwardness. By contrast, the Gazprom office building now slated to tower above Putin’s hometown — at 1,500 feet, it would be Europe’s tallest skyscraper — looks east for inspiration, to Dubai, the gilded, garish cosmopolitan hub where its Petersburg-born architect launched his career. In America’s burgeoning Chinatowns, high-rise buildings that stack offices atop karaoke parlors atop restaurants atop shopping malls bring the distinctive urbanism of twenty-first-century China to the United States, just as Americans brought their architecture to their Shanghai concession 150 years earlier. As we see with Art Deco, which was born in Paris but left its most lasting imprints on Miami Beach and Mumbai, in a porous world styles can transcend their birthplaces. And in this Asian Century, no doubt, forms originating in Asia will be imported to — or perhaps even foisted on — the West. The hope, however, is that as Asia rises, the thinking-makes-it-so distinction between East and West will fade, that we will move ourselves from rivalry and resentment to amity and understanding. At first glance, the Chinese boomtown of Shenzhen does not inspire much hope. The instant metropolis of 14 million people and counting seems a self-inflicted redux of the most imitative aspects of nineteenth-century Shanghai, a city built by the imperial powers of Britain, France, and the United States to look just like home, right down to the American Settlement’s bustling commercial spine, Broadway. Among Shenzhen’s most visible structures is a 1:3 scale replica of the Eiffel Tower, less innovative even than Jazz Age Shanghai’s “Big Ching,” the knockoff Big Ben the British erected atop the customs house. In a downtown park, a massive photomontage shows Shenzhen’s founder, Deng Xiaoping, the Communist ruler who in his youth had traveled to France “to learn knowledge and truth from the West in order to save China,” admiring the skyline, complete with fake Parisian tower. The grandfatherly Deng keeps a straight face; Western visitors taking in the display typically do not. The Eiffel Tower is the centerpiece of a Shenzhen theme park called Window of the World, which offers visitors scaled-down replicas of all the globe’s architectural masterpieces. see the world landmarks in one day! crows a poster on the ticket booth. The park embodies contemporary China at its tawdriest. Guests who grow bored of the park’s architectural wonders can amuse themselves by renting human-size clear plastic hamster balls, locking themselves in, and taking a spin on a man-made lake. [A]ll architecture is the heritage of all people, although some architecture is the heritage of some people more so than others. It’s only a question of degree. But there is no exclusionary architecture that says that you do not belong. voltaire was the spiritual leader in the french enlightenment. the statue reflects the humorous and harsh individualities of this sagacious philosopher who had to endure many hardships. Voltaire, the hardship-enduring dissident, stares out silently at the “people’s democratic dictatorship” all around him. From the grin Houdon captured so masterfully and Da Liusheng channeled so proficiently, it would seem that Voltaire appreciates the humor of the situation. Catherine the Great had Houdon’s Voltaire banished to an attic after the French Revolution. But she could never fully exorcize his spirit. Even at the height of Stalin’s repression, the little marble man sitting in the Hermitage never lost the wry smile on his face. He continues to haunt Putin’s Petersburg today. That a copy of him now silently haunts Shenzhen as well is an auspicious omen for our Asian Century.